Ideal for operations in low-light warehouse environments. Features 4' x 4' platform with 3" profile. Unique multi-ribbed understructure support design. 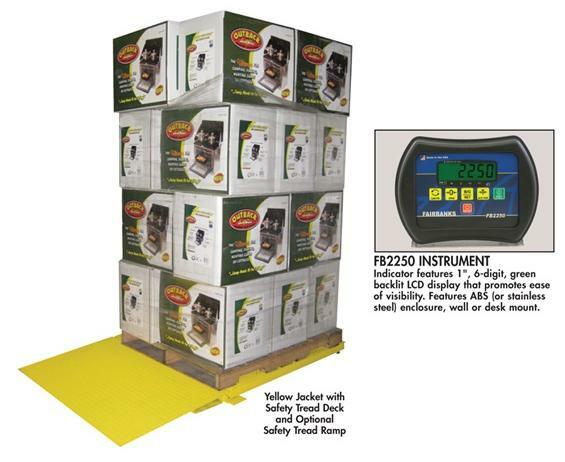 The Yellow Jacket Floor Scale is finished with a durable, non-slip, safety yellow powder coat paint that is easy for forklift operators to see, even in low-light warehouse environments. The scale is constructed of durable Type A36 carbon steel and has a unique multi-ribbed understructure support design. Top access leveling with built-in bubble level. 1/4" thick deck plate with lifting eyebolts. Comes with safety tread deck. 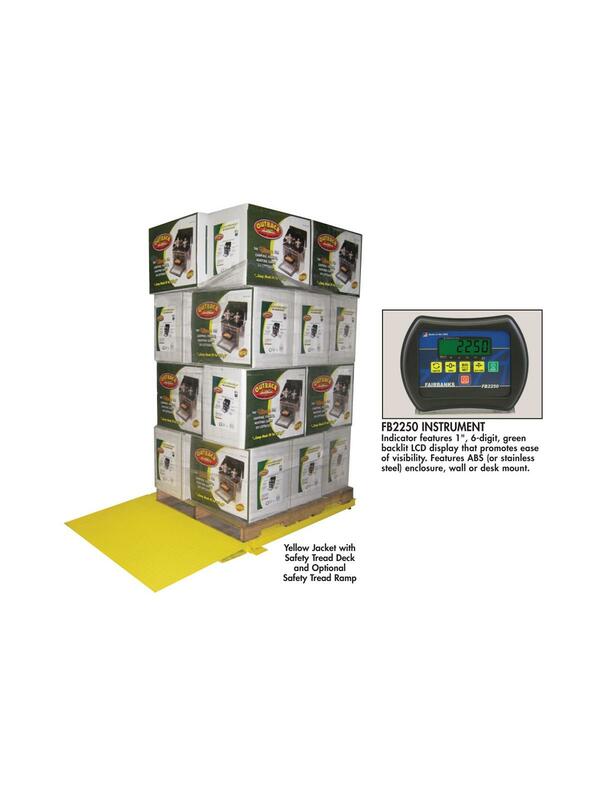 Features 1" backlit LCD display. ABS, Black NEMA 12 or SS NEMA 4X enclosure. Includes 25' cable, 2250 ABS instrument, wall-mounting bracket, quick disconnect and factory calibration. Scale and instrument are "Legal for Trade" in the U.S. and Canada. Legal for Trade approval is contingent upon installation completed by a certified scale technician. FOB Shipping Point. Optional Safety Tread Ramp sold separately.